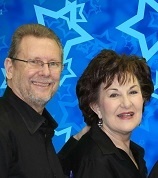 Raymond and Katherine Cox of Moore Oklahoma began their TapSnap franchise in a whirlwind. A few weeks after receiving their TapSnap equipment in May of 2013, Raymond and Katherine’s hometown was struck by a tornado. Fortunately for the couple, their equipment remained undamaged and their home only needed a new roof and fencing. However, their community was devastated by the storm. For the next few months, the Cox family helped provide aid for those whose lives were affected by the deadly storm. Raymond, a singles pastor at First Baptist Church in Moore, focused his energy on working around the clock by whatever means were necessary to support his hometown. Today, the Cox’s are happy to be back to normal, and are now running their business at full speed. They are having a blast holding a variety of events through the Oklahoma metro area. After searching for an investment for more than two years, Raymond knew he had come across the right opportunity with TapSnap. He describes TapSnap as impressive technology, which always captures everyone’s attention. Plus, the franchise is constantly adding cutting edge technology updates that keep franchisees competitive with other businesses in this space. Both Katherine and Raymond enjoy working with TapSnap and seeing the smiles on people’s faces; calling themselves “CEO’s of Fun.” The only regret Katherine has is that the duo didn’t become involved with TapSnap earlier in their careers.